Attorney Paul Schneider has over 35 years of civil trial experience. He was educated at Amherst College and the Northeastern University School of Law before becoming a partner at a Boston law firm. In 1996 he founded the firm which is now Schneider & Lalikos, LLP. Paul has won his clients numerous verdicts and settlements in excess of $1,000,000. Paul was admitted to practice in Massachusetts state and federal courts in 1977. 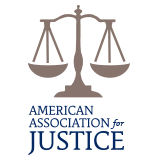 He is a member of the American Association for Justice and the Massachusetts Academy of Trial Attorneys. Attorney Michael Lalikos has been practicing law for over 25 years. Michael earned his Bachelor’s degree in History from Colby College, then went on to study law at Suffolk University, completing his studies there in 1989. Michael has tried a wide range of personal injury matters including malpractice, premises liability, and motor vehicle torts. Michael also has extensive experience with divorce litigation and mediation. He is currently licensed in both Massachusetts and New Hampshire. 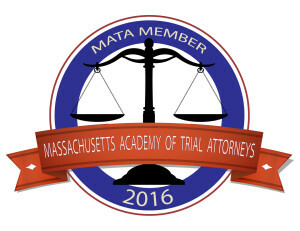 Michael is a member of the American Association for Justice and the Massachusetts Academy of Trial Attorneys. Schneider & Lalikos is recognized in the legal community as one of the prominent personal injury law firms on the North Shore. Other lawyers trust Schneider & Lalikos to represent their client’s interests. Most of our cases originate from either past client or attorney referrals. Schneider & Lalikos is one of a handful of law firms in Massachusetts and New Hampshire with state of the art equipment for on-site audio video depositions and mock jury focus groups. In 2016 and 2017 alone, we won 20 six figure and seven figure recoveries. Our track record is thousands of cases settled and millions of dollars recovered for our clients in auto collisions, motorcycle, pedestrian, construction sites, defective products an other injury claims. Schneider & Lalikos, LLP. We can make a difference for you. We look forward to hearing from you. Please be advised your initial contact does not establish an attorney-client relationship. © Copyright 2016 Schneider & Lalikos, LLP. Designed by Compete Now.